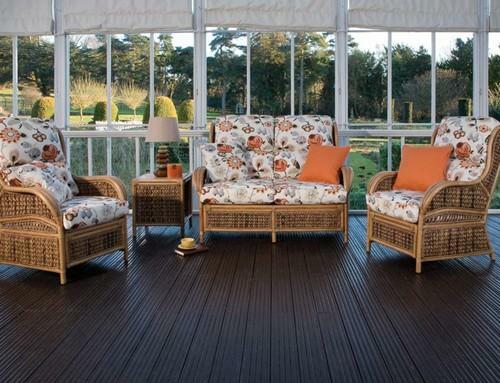 The Florida range is a traditionally designed, high back suite. The frames feature a sweeping cane pole arm, with basket weave design on the front and sides. Shown with Bohemia Tango and Savanna Burnt Orange fabrics.